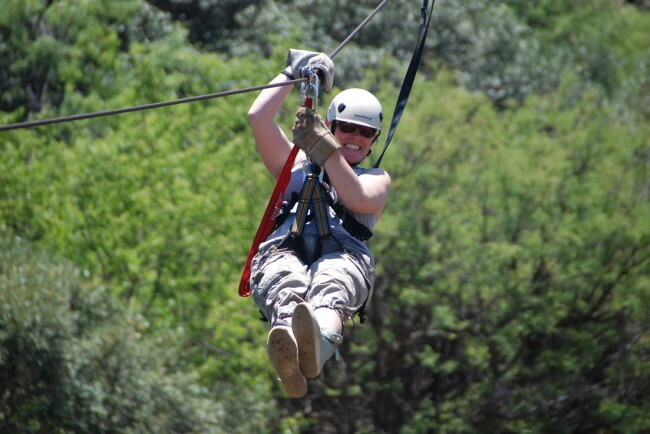 You can’t call yourself an adrenaline junkie without having done zip lining. Sure, you might have already jumped out of a plane, bungeed the amazon and ran with the bulls in Spain, but now it’s time to strap in and zip away. Let’s call it an adventure that requires “minimal” energy, but comes with an amazing and maximum view. I know I only needed to go once to get hooked, then again and again. Here for a one-of-a-kind extreme water adventure, fly like Ironman above the water, swim like a dolphin and have fun doing tricks like backflips like an acrobat. Imaging a jet-ski and a jet-pack all in one to help you soar 10m up in the air, talk about flipping out! Who said fish don’t fly? Pop us a message if you want to get geared up. Orlando Towers offers you the first ever bungee and swing between 2 cooling towers, a whopping 100 m from the ground. If you want to let go, this is definitely the place to do it, literally, just let go… but make sure you have your harness on! Once you are strapped in and at the top of the tower, take a moment and breath in, appreciate the view and just let go. There is nothing quite as amazing as this feeling of letting go and soaring. Although they don’t do booking anymore and they work on a first come first serve basis, we can still help you out. Pop in with reception for inquiries. Welcome to a place where monkeying around is 100% acceptable. Welcome to the Jungle Book, here you can feel like Tarzan and swing from tree to tree, navigate over many bridges, swinging logs, nets and steps, also let's not forget about the load of ziplines. Start off with something simple or fun or challenge your big boy bones with an obstacle topped off with a 250m “BigZip”. It’s the perfect place to get moving, or in my case, to get an amazing sundowner view. 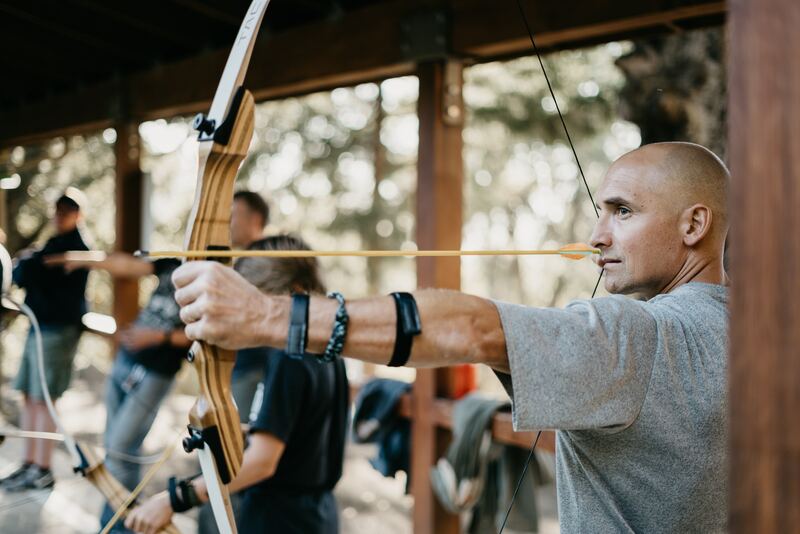 Time to prepare for The Hunger Games, just kidding… but here we go, grab a bow and arrow and learn to shoot like the Vikings. With friendly faces ready to help even the absolute beginners, you will have access to a sick 90m range and the rush of precision at your fingertips.